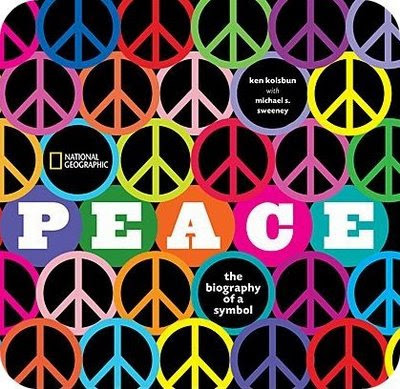 PEACE: the biography of a symbol: "As the boomer generation moves onward through the milestones of life, 1960s nostalgia holds tremendous meaning today. 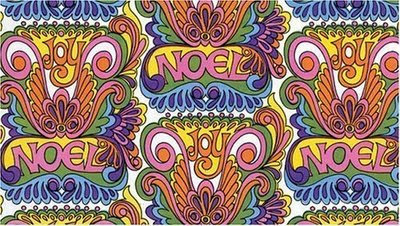 And nothing more eloquently symbolizes the counterculture era than the peace sign. How did this simple sketch become so powerful an image? Peace: the biography of a symbol tells the surprising story of the sign in words and pictures, from its origins in the nuclear disarmament efforts of the late 1950s to its adoption by the antiwar movement of the 1960s, through its stint as a mass-marketed commodity and its enduring relevance now." i want this book! peace to you pals! herman miller began by manufacturing residential home furnishings in the early 1920s + became known as a modern furniture manufacturer in the 1930s, 40s + 50s, by collaborating with some of the country's most influential designers in the modern movement: alexander girard, george nelson, charles & ray eames. jack kelley, designer of the world's first computer mouse pad + precursor to the cubicle, partnered with herman miller to create functional + stylish pieces including the scooter keyboard and mouse stand. an avid sailor, kelley said "i won't tolerate anything that doesn't work on a sailboat, so why would i tolerate anything that doesn't work in the office?" "Kelley has been captivated by computers since 1968, when he represented the Herman Miller Research Corporation as a researcher/designer at the Stanford Research Institute + worked with Douglas Engelbart, inventor of the world's first computer mouse. The mouse needed a pad, so Kelley designed it--the world's first mouse pad, an invention that brought him great satisfaction and an early understanding of the complexities of working in computer environments." herman miller is also a leader in eco-friendly office products + has been environmentally -conscious since the 1950s, strategically placing windows in all herman miller corporate buildings to let in more natural light + allotting 50% of herman miller corporate land as "green space." today, many new herman miller products are made from recycled materials + the classic herman miller pieces are upholstered using recycled textiles. 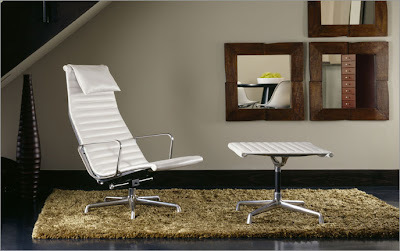 classic herman miller designs are as popular now as they ever were. to commemorate the 50th year of the eames aluminum group, herman miller is offering them in a special edition, anniversary white leather. new toy safety regulations slated to take effect in the US starting in february are well intended, but flawed legislation + will have devastating consequences for small toymakers + handmade toy vendors. last year, the us media broadcasted many stories about recalls of toys made for children that included dangerously high levels of lead or other chemicals or small parts that could easily detach + be swallowed by a child. several of the world’s leading toy manufacturers were forced to recall tens of thousands of units of toys to ensure the safety of american children. almost every problem toy recalled in 2007 was made in china. read more at mahar drygoods. i'm getting ready to take mod*tot to the oscars parties in february. this is my 1st oscars + i'm so excited, so i'm preparing early. i had a laser photo facial $400 at the loveliest spa in palo alto skinspirit by co-owner + mother of 2, cara. she also has a location in walnut creek. it was a lot easier than i thought + your face isn't red afterwards, but you do have to wait about 2 weeks for the dark spots to break up + move to the surface + go away. obagi sent me a set of products to enhance the treatment $450, but i was concerned about hydroquinone in 2 of the products, because its carcinogenic + banned in canada + france, so i checked with my oncologist, about the 4% hydroquine in 2 of the products + she said it was ok to use them for under 2 months. + i'm feeling like a glamorous movie star in my new cinzia crystal glasses. i love the illustration on the cinzia homepage, it's a jeffrey fulvimari. lace green or orange, electric purple, twisties clear, uptown aqua. congratulations to jaime for winning my keen giveaway! 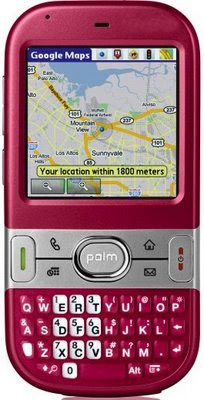 mod*mom holiday giveaway :: palm centro smartphone $300! palm is introducing their new web browsing phone to mod*mom readers. bugaboo friends is a community of active, modern parents sharing pictures, ideas, stories, videos, tips + inspiration to stay on the go with children. i like the full length version of this world traveling surfer family video. modern dose is a wonderful mom-owned company with mod furniture + home products. 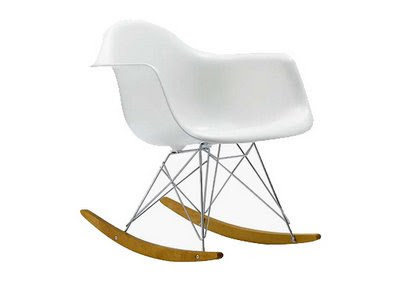 i'm so excited they're offering a mod eames era rocker. to enter to win a white mod eames style rocker, please leave me a comment telling me your favorite modern dose products + include your email address + web url, to identify you when you win!